Auto Accident Injuries: How Can Chiropractic Help You? - Dr. Les Pachter D.C.
Auto Accident Injuries: How Can Chiropractic Help You? Have you or someone you know been involved in a motor vehicle collision? 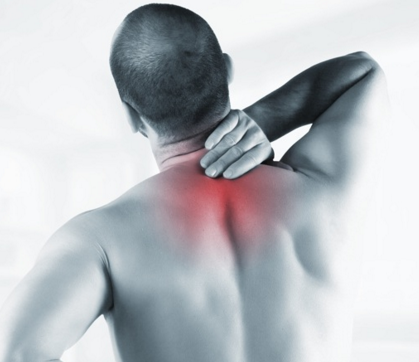 If so, it is likely that you have been left with a few aches and pains, or even whiplash and spinal injury. Without proper care, injuries sustained from an automobile accident can worsen and lead to a lifetime of chronic pain. While no one ever wants to be in an auto accident, it’s important to know how to care for your injuries should you ever be involved in one. A visit to your chiropractor can help speed up the healing process, whether you’re suffering from severe pain or mild discomfort. These health professionals are able to treat common auto accident injuries such as neck and back pain, whiplash, soft tissue damage, and joint and musculoskeletal injuries. Even if you aren’t feeling the physical effects of your accident, that doesn’t mean you haven’t received an auto injury. A relatively minor shift in your vertebrae and disc can create a number of health issues down the road. When you visit a chiropractor after an auto accident, it is encouraged that you get x-rays taken to better assess any damage in the neck or spine. A chiropractor will put you through a complete evaluation to determine the extent of your injuries, as well as any underlying damage to your body. How Can Chiropractic Treat Whiplash? You may be experiencing whiplash if you’re suffering from headaches, back pain, neck pain, or general discomfort following an accident. Clear signs of whiplash include blurred vision, headaches, shoulder pain, dizziness, reduced range of motion, and arm pain. Whiplash can also result in minor pain injuries, muscle injuries, ligament problems, and disc damage. Other individuals may not experience pain immediately after the accident, and may assume they’re just sore when serious injuries could be forming. If left untreated, an auto injury can lead to serious health problems later in life. Chiropractic adjustments treat the underlying spinal injury or whiplash injury. Chiropractic works to help relieve pressure on the nerves and muscles while re-aligning the spine. Physical therapy, including corrective exercises, will help bring a full range of motion back to the body. Looking for fast and effective auto accident injury treatment in Boca Raton? Dr. Les Pachter offers a variety of auto injury treatment options, including manual spinal manipulation, spinal decompression therapy, and more. Dr. Pachter’s goal is to assist his patients on the road to recovery without the use of invasive surgery and costly pharmaceuticals—he wants to help restore your health quickly, and efficiently as possible. To further assist with your rehabilitation, Dr. Pachter can collaborate with a network of orthopedic specialists and neurologists to ensure you receive the care you need. If you or someone you know is suffering from the aftermath of an auto accident or auto injury, contact Dr. Pachter today to learn more about the legal solutions we have to offer our patients. Let us find you the right attorney you need to advance your case and more. For over 25+ years, Dr. Pachter has helped Boca Raton patients find the chiropractic treatments they need to lead healthier, happier lives. Experience the healing power of Chiropractic today! Don’t let your auto injury forever alter your life. Call Dr. Pachter to schedule an appointment at our Boca Raton office and learn more about what Chiropractic can do for your health. Call (561) 477-8588.